It’s celebration time in Breckenridge! 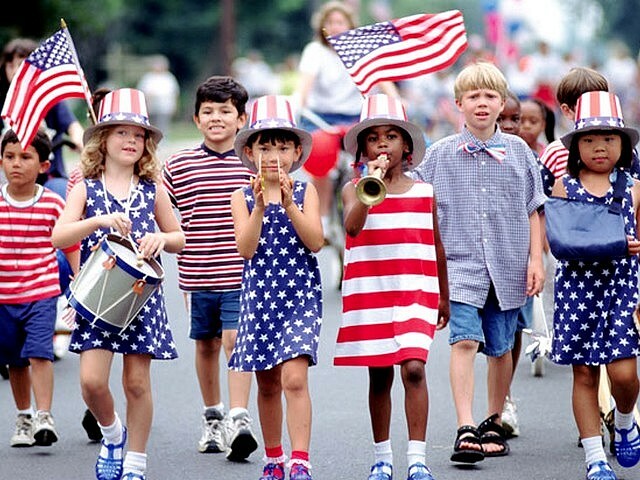 Families take to the downtown streets wearing their most patriotic attire, and their children march in the parade that celebrates our nation’s freedom. The Independence Day celebration includes lots of free activities, family fun, and live entertainment. The festivities begin with a 10K trail run and then continues with the Firecracker 50 bike race. The bike race takes the lead at the head of the parade, as patriots old and young alike celebrate with the march down historic Main Street in downtown Breckenridge. The celebration with culminate with a patriotic concert by the National Repertory Orchestra at the Riverwalk Center and the firework festivities begin at 9:45pm. Fourth of July is just one of the family fun filled events in Breckenridge. And actually, there is just no bad time to be in Breckenridge – a truly four season town with something for everyone all the time. If you’ve never been to Breckenridge, you need to mark your calendars now and make your travel plans. Once you visit and become enamored by the historic, Victorian charm of the town against the backdrop of the majestic Rocky Mountains, you will understand why visitors come to Breckenridge from all over the world. Fractional real estate is a great alternative to whole home ownership, creating the opportunity to own a stunning second home at a fraction of the cost. You own the deed and it is a mortgage, very different from the time share model. The Grand Colorado on Peak 8 is the perfect place to call home, sitting at the base of Peak 8 with ski in, ski out access to the slopes, casual elegance, and world class amenities. The difference is that you enjoy all the comforts of home, and with luxury fractional real estate it is only a fraction of the cost of whole home ownership. There are luxury condos available from studio to four bedroom, so you choose what is right for your needs. This exclusive resort will soon become THE address to have in Breckenridge, with only 75 total units built. There is inventory available at Grand Colorado on Peak 8, but the remaining units won’t last long. If you want to own a second home at a fraction of the price on the slopes in Breckenridge, you really do need to get busy NOW. Make The Grand Colorado on Peak 8 your second home. Come back again and again to refresh and renew, without hassle. Find out how to make it your home away from home. Pick up the phone and call Brent Henry, Senior Broker, and let him know what you are hoping for. Brent’s number is 970-485-2117. He will help you find the perfect home away from home for you. There is no better fractional real estate opportunity out there in all of Summit County, just ask the owners at The Grand Colorado on Peak 8! You can also request a complimentary owner’s kit using the convenient form below. This entry was posted on July 5, 2015 by elevatemarketingaz. It was filed under Breckenridge Colorado Luxury Condo Sales, Breckenridge, Colorado Real Estate, Fractional Ownership Real Estate Breckenridge CO, Fractional Real Estate Breckenridge, Fractional Real Estate Breckenridge Colorado, Luxury Fractional Real Estate Breckenridge Colorado, Luxury Fractional Real Estate Summit County, Co, Luxury Fractional Real Estate Summit County, Colorado, Ski In, Ski Out Luxury Condo Breckenridge Co, Ski In, Ski Out Luxury Condo Breckenridge Colorado, Ski In, Ski Out Luxury Condo Summit County, Co, Ski In, Ski Out Luxury Condo Summit County, Colorado, Summit County Colorado Luxury Condo Sales, Summit County Colorado Real Estate, Summit County Real Estate, The Grand Colorado on Peak 8 and was tagged with #FamilyFun, Breckenridge Colorado, Breckenridge Colorado accomodations, Breckenridge Colorado condos, Breckenridge Colorado skiing, Breckenridge luxury condo sales, Breckenridge real estate, Brent Henry Breckenridge real estate broker, Grand Colorado on Peak Eight, ski_in_ski_out Breckenridge condo.